A rare find - 67+ acres in Fort Bend County that is still in it's natural beauty. Enjoy the country life surrounded by mature trees, abundant wildlife and ponds. 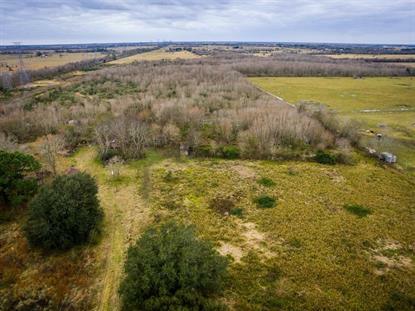 Land is secluded yet less than 40 miles from Houston. This listing is for two parcels FBCAD #0471-00- -906 and FBCAD #0471-00- -906. Property is being sold for land value only. There is an old home on the property that has not been lived in for over 10 years and there are several outbuildings. Land is unrestricted - a perfect place to build your dream home or use for a weekend getaway, hunting, cattle or farmland! Low taxes - Ag exemption!!! Call today to schedule your private tour of this property!! !